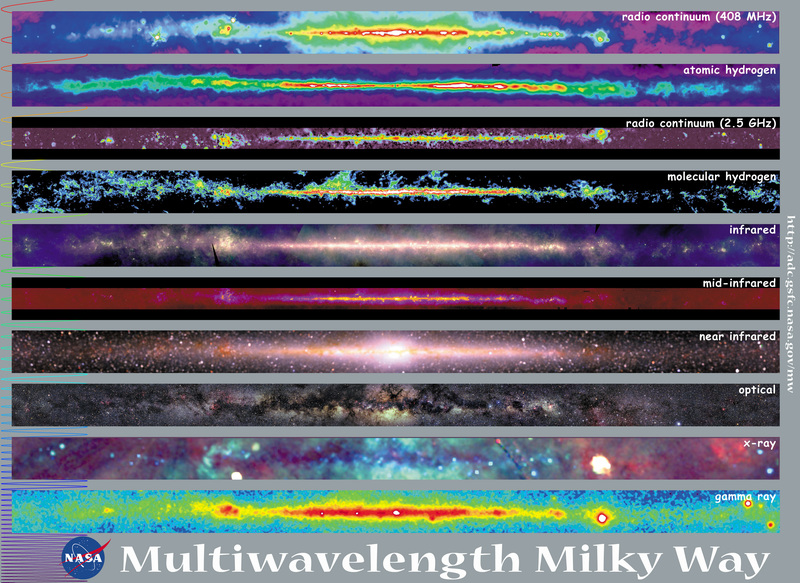 Inspired by the warm reception to the original Multiwavelength Milky Way poster (26,000 copies distributed; requested by people in over 50 countries) we have created several related products and a new version of the poster. 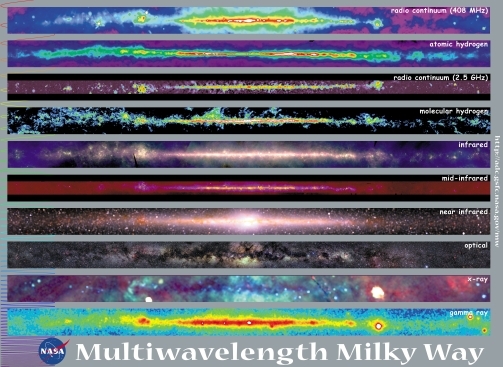 Maps of the Milky Way at ten wavelengths, from radio waves to gamma rays, and a finder diagram are available on a colorful poster. A short paragraph next to each map explains how the observation was made, and what the measurments tell us about the Milky Way. The original poster measured approximately 65 cm x 98 cm and was printed on heavy paper stock. We have run out of paper copies but invite you to download the poster as a printable pdf file. Low-resolution, low-color depth picture of the poster (112 kbytes). Images of the Milky Way are also available as a set of beautiful presentation images, which can be downloaded. The set consists of eight all-sky images, a composite of the eight images, a composite of the ten panoramic maps (as depicted in the poster and online), and a finder diagram. Click here for futher details. Contact the NSSDC Coordinated Request and User Support Office for more information. 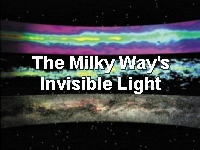 If you would like to prepare a slide for an educational or scientific presentation, an image showing the Milky Way at 10 wavelengths is available in a high resolution format. Image details: 8x10 inches, 300dpi, 2.5 MB jpeg file. Low-resolution, reduced-scale picture of the presentation image. VRML stands for Virtual Reality Modeling Language. The Milky Way VRML model is based on a statistical representation of the three-dimensional density distributions of stars of various spectral types (colors). Using a VRML browser, the model can be rotated, panned and zoomed. Animations of the Milky Way VRML model are used in the Milky Way video. More information on VRML models can be found at http://lambda.gsfc.nasa.gov/product/cobe/vrml_models.cfm.